For the front of the forklift truck cabs. 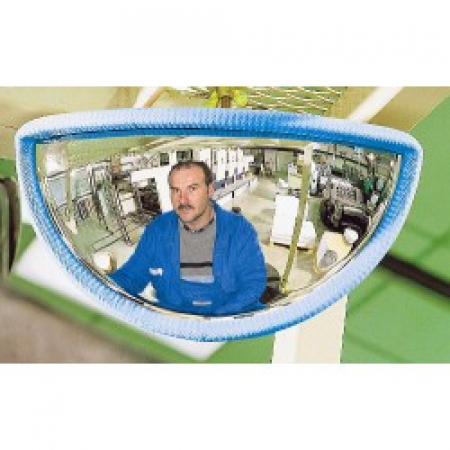 Panoramic rear-view mirror especially designed and adapted for forklift trucks. The blue edging protects the head of the driver while entering and leaving the forklift.